Good Deeds done for the House of God Accepted and Recompensed: A Sermon preached in the Church of the Transfiguration, December 21, 1856. Address Delivered at the Laying of the Cornerstone of the Free Church of the Holy Sepulchre on 74th Street, New York, November 16, 1868. New York: The Church Journal, 1868. Good Friday Addresses on the Seven Last Words of Our Lord. New York: E.P. Dutton, 1880. New York: P. F. McBreen, 1887. Seven, Eight, Forty. An Anniversary Sermon Preached in the Church of the Transfiguration, New York, Sunday Morning, October 7th, 1888. New York: P. F. McBreen, 1888. By the Rector, G. H. Houghton. In Memory of the Rev. 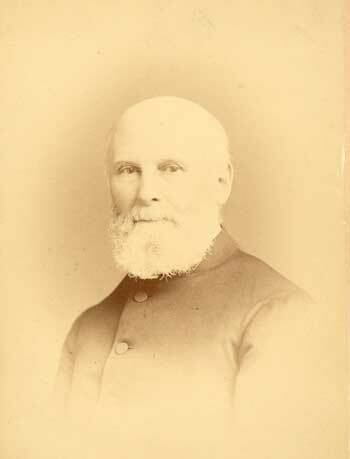 George Hendrick Houghton, S.T.D., Priest in the Church of God. This Memorial Sermon was preached in Saint Mary's Chapel, Sherwood Park, Yonkers, New York, on the Fourth Sunday after Epiphany, January 30th, 1898, by the Rev. Harry I. Bodley, at the request of the Curate in Charge, the Rev. George Hendrick Houghton Butler, and is published for the benefit of said Chapel.